Leadership is not something that can be taught. It can only be learned by observing people who are already leaders. Even aspirations to be a leader come from observing leaders. I don’t believe there is such a thing as a ‘natural leader’, rather, leadership is an inherited idea, a meme. 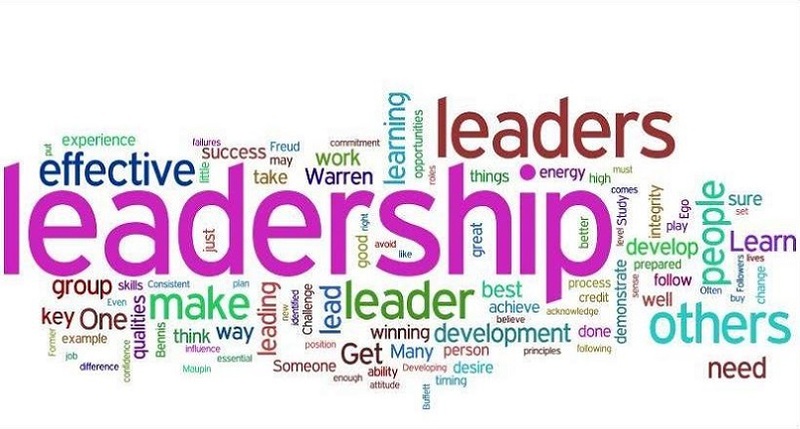 That’s why people born to leaders often become leaders themselves in their own right, they are close to both the idea and expression of leadership. Conversely, that’s why when we are raised in an environment without leaders, we don’t learn how to become one and often have no aspiration to be one. With women, this lack of role models is sometimes compounded by an active discouragement from leadership. There is only one way to change this – to be a leader, you need to be a follower first. You need people to look up to, to emulate, and yes, to gain support from. Being around leaders shows us how to be leaders, it open doors for us at a higher level. If you want to be a leader, you need to surround yourself with leaders. You need to see the qualities and behaviours that make other people admire and follow them. You need to see how these people create influence wherever they go and whoever they talk to. And only after you have recognised these qualities, can you nurture them within yourself. Here are my top 5 tips for surrounding yourself with people who you can learn leadership skills from. Choose your networking events carefully. The more intimidating an event feels, the better it probably will be for meeting truly great leaders. Be careful to not confuse high cost events with quality events, many free breakfast meetings will be attended by hot shot city execs. Even if you don’t make contacts to begin with, just observing and being around these people will give you confidence and insights you cannot get from bog standard events where you know half the delegates. This is a really important one for women as men tend to be conditioned more to behave this way than we are. There is always room to be humble, but let that be in your bearing, not in your actions. Every time you achieve something, shout it from the rooftops. If you can’t reach a rooftop, use industry journals and don’t forget your own email. Create an email group that includes all your contacts who are senior and influential. Make sure they get news of you, you’ll rarely get a reply, but they will read it. Just send a line saying, I won this award or was written about here and send a link. Join a business support agency, they all offer mentoring services and just persist until you get the right person. Don’t stick with the first person they allocate, sometimes these people can be failed entrepreneurs and most people employed or appointed by a small business centre are not likely to have the global influence that we all look up to. Be ambitious, don’t be afraid to say no, that person is not good enough for me, and keep pushing for the best. Great leaders have great stories. That’s why they are often more interested in your story than in what your company does. One of the most interesting people I knew, who was a great patron to many emerging entrepreneurs, was the inventor of a type of toilet roll. He was a millionaire and commercial magnate. To many top entrepreneurs, how you make money is not important, your journey, your qualities and your passions are. So don’t feel you need to sell your business – sell yourself. Discuss current affairs and talk about your hobbies – it’s a slower process for making business friends, but a much more sure-fire way to find yourself in the particular circle you want to be in. I thought I’d explain how social capital actually works, as most people do not actively use the process. Think of social capital as money in a bank account. People’s opinion of us goes up and down, like money in an account: sometimes you can even recover from a deficit. But there are some things that can break the bank completely and you will never recover – breaking promises, speaking badly about someone etc. But on the whole, you are building upwards. You won’t make a million in a day, so why try and be someone’s best friend in a day? You meet them once, you make a good impression, your social capital increases. Second time you meet, it will increase further; third time, even more. Recognise it is a slow process and it may take years for you to sufficiently build enough social capital to be dining with the type of great leaders whose ranks you want to join. Oh, and the next time somebody says men are naturally more confident or more self-promoting or better leaders, challenge them; it’s not how they were born, it’s how they have been conditioned from childhood. It’s a conditioning that women too can acquire; all we need is the will. Jobeda is a Cambridge graduate, holds a Masters in World Trade and Development and is a Fellow of the School for Social Entrepreneurs. In 2007, Jobeda was one of 20 women from across the world to be selected as a “Rising Talent” by the Women’s Forum for the Economy and Society. She is a member of the Guardian’s Social Enterprise Advisory Panel and is Winner of the Social Business Leader of the Year at the Oguntê Women’s Social Leadership Awards 2010.